With Uber and Ola, commuting woes have been fantastically addressed. 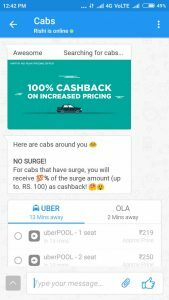 Exciting offers and discounts during their initial days got most of us hooked to them and now, even with surcharges we still cannot resist the temptation of commuting in an Uber or an Ola. Our writers or shall we say self proclaimed Ola/Uber fans have put together a list of hacks and tricks that you can put to use while taking an Ola or an Uber to save on some cash and have a comfortable ride! Note: The hacks shared here were working at the time of posting. And additionally you can also continue using our exclusive Uber & Ola Coupons to get upto 50% discount on your next ride. 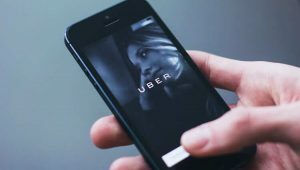 While we would endeavor to regularly update this post, some of these tips and tricks might not work in future given that Ola and Uber are continually updating their platforms. If you see any of these hacks no longer in use, write to us at info@turacomobile.com and we will look into it. Refer a friend and get discount coupons for yourself and your friend. Now this is easy.We all carry two phones/SIMs and we all have multiple email addresses.When you exhaust your friend list, just enter in your second number and voila! You are in for two rides loaded with discounts/offers. Check online for offers that are running on Ola and Uber.There are a few portals that offer discounts coupons for you to encash during your rides.There are often excellent offers for first time users that both companies run to incentivize users to sign up for their platforms. If you have had an unpleasant experience, share it with Uber / Ola. You can get a refund for the ride if the case is genuine.There may be some to and fro of emails but worth the effort. Refresh the booking a couple of times instead of booking at the first available option.At times usually the third or fourth attempt leads you to a lower fare. Keep a note of all the SMSs you receive from Ola and Uber. The Promocodes are usually sent during the weekends.Keep a note of them and apply wherever necessary. While paying any bills online using PayTM of FreeCharge, check on the offers they are running on Uber and Ola. Some might be of use to you. Ola Share Pass is a fantastic way to save on having to pay more during peak hours. It lets you ride at flat fares anywhere, anytime.Buy a share pass and pay the same fare each day, with our fare lock-in system. With Ola Share Pass there is no peak pricing that would be applicable to you and you can ride at ease on a flat fare in your city.So for e.g., you can buy a Ola Share Pass at Rs. 149 for a month which shall allow you to have 5 rides at the rate of Rs. 50 each.Similarly, at Rs. 199, you can have 10 rides at the rate of Rs. 50 each. Do check your Ola app for further details. As much as possible, after booking the cab, call up the driver and tell him about your precise location and landmark.GPS on occasions can result in faulty co ordinates and your pick up point might be shown a few meters away from your exact location.Giving the driver a call before hand can save a lot of time and effort for both you and the driver.Given that services such as Ola and Uber have waiting times of only 2-3 minutes (after reaching the location) before the ride is cancelled, doing so can avoid can prevent loss of time and cancellation fees. Check on the route being taken by your driver. At times they opt for longer routes and that increases your fare.You can always report this mischief to Uber/Ola.When such issues are reported, Ola/Uber will track the GPS to identify if the driver had opted for the longer route and refund you back the fare amount and also warn the driver.This in turn saves other passengers from having a similar experience. OLA Coupons to get upto 50% discount on your next ride. Log on to the Uber webpage to book a cab. Click on the ‘Start Riding’ option. This is the first step that will help you you’re your cab. Enter your phone number once the notification is there on the screen for the same. Give all the required necessary permissions. Once you share your contact details, the webpage will again ask you to grant the permission to access information post which you will be redirected to the booking page. Now, you will be shown the nearest cab with the ‘Book a Ride’ option towards the bottom of the page. Book your cab and get the details – the car number and the driver details. You will also be given the number of your driver in case you would want to call him for directions etc. Just in case there is a change in plan, you can cancel the booking within 5-minutes and avoid any cancellation charge. The only drawback of booking a cab on the webpage is that you cannot choose options such as – UberPool, Uber Go, and UberX. Here you shall be just shown the nearest cab. You may want to later download the app to get the estimated arrive time of the cab, the cab fare, minimum fare and estimated total fare. Uber Coupons to get upto 50% discount on your next ride. The best option is, opt for Uber / Ola Pool service. Besides saving on some money, you are also contributing to saving of some fuel which eventually is a big help to the environment.And the best part, you get to chat with fellow commuters and make new friends. If you live in a locality with lesser number of Uber/Ola vehicles on the road, opt for booking cabs from a location with a higher density of cabs.This is because you may be charged extra depending on the proximity of the driver’s location from your location.This is especially useful while booking cabs at the airport where the rates are high (given the competition) but often times, booking at a location further away from the airport would result in lower fares.So in general, walk a little and then book your cab in such scenarios. Calling a cab right to the doorstep at times just adds up to the fare. Wait if you can. The surcharges do not last long. Wait for about 15 to 20 minutes and let the rush just go. Prices automatically reduce. If there is an offer running of pre-booking a cab, do that. It may help you during peak hours, especially during the rainy season. Download the app Haptik available on Android and iOS. Haptik currently offers 100% cashback for upto Rs 100 on surge charges. However the best feature that Haptik provides is comparison of Ola and Uber prices for the very same trip thus resolving the hassle of opening both Uber and Ola apps and comparing the prices.Link your Uber and Ola app to Haptik app and you can now directly book cabs within Haptik. Do you have any unique Ola and Uber tricks that have worked for you in the recent past? Share with us in the comments below! used to go to see this blog all the time.